I'm starting my second year with Outreach Concern, a non-profit agency that offers school-based counseling services for several districts in Los Angeles and Orange County. Since 1994 over 500,000 students and their families have been supported with educational or social skills training, emotional support, or community outreach through direct services. Early intervention is important--think of how difficult it's been to change habits or develop healthier routines as adults. When children are exposed to alternatives and given support to see a more positive future, change may be easier and seen as possible as adults. At-risk neighborhoods are in need of intervention due to economic reasons and lack of resources. According to the Bureau of Labor Statistics (2012) individuals with less than a high school education earn on average $471/week while those with a bachelors earn on average $1,066/week. Those in poverty may be working the same hours wealthy people are working, but added layers of stress make life choices difficult. Middle-class parents may have the choice to enroll their children in tutoring or extracurricular activities, but parents in poverty may not have that option. Paying an additional $10/week or working 1 hour less to drive their child to sports could be the difference between having or not having meals or paying the rent on time. Outreach understands the importance of education and eliminating as many barriers to learning for students as possible. Success comes from education, and learning is the most effective when children and families receive resources to thrive. State funding has also been reduced over the years (CA Dept. of Ed). Physical education and the arts have been removed from many schools because the budget cannot cover the expenses. Counseling programs have also been removed or limited as well. While there continues to be limited funding for certain areas of public education, outside agencies may be able to serve the needs of the community at a reduced cost. Counseling and therapy may sometimes be interchanged, but counseling carries more of a skill-based approach. Counselors may offer shorter total sessions (8-10 sessions) and focus more on goal setting and building skills. Therapists may work more on long-term insight and digging deeper while counselors aim to provide resources or act as an advisor. More about Counseling vs. Therapy. What services do Outreach counselors offer? 1. Academic skills training: Many students do not have study skills. Some students aren't born scholars. Sometimes parents are too busy supporting the family they forget to review the importance of setting study schedules with their children. Counselors can form partnerships with parents and create realistic learning goals together. Counselors can empower students and parents to make education a priority. 2. Empathy skills training: Emotional intelligence has been linked with great leadership in the workforce (Schawbel, 2011). Emotional regulation, stronger communication skills and interpersonal relationships are also correlated with higher empathy. 3. Social skills training: With our continued use of electronics and social media, many students are needing social skills training (Bindley, 2011). Face-to-face communication is becoming less common, and there is an increased need in social skills training for students. 4. Bullying presentations: Bullying affects many students (StopBullying.gov), and many of us may remember how it felt to be teased or pushed in school. Presentations can give students opportunities to be advocates for one another and to speak up against bullying. 5. Playground interventions: Bullying or misunderstandings can happen on the playground. Having counselors on the playground offers additional eyes for safety, modeling for positive social skills, and problem solving for students. Counselors can facilitate conflict resolution for students to become more effective with emotional regulation and communication. 6. Crisis interventions: Self-harm and suicide is part of the dialogue in k-12 education. Some staff may not be equipped to speak about negative emotions or harming oneself with students. Outreach Concern counselors are trained and supported by their agency supervisors and clinical supervisors to follow protocol and safety measures to support the needs of the students. 7. Community outreach: Many families may be unaware of community resources to promote the emotional, social, academic or behavior needs of their children. Outreach counselors seek partnerships with community resources to build a stronger foundation for learning and health for our families. 8. Parenting skills support: It is never easy being a parent. Sometimes it can be difficult to reason with your child to put his clothes in the hamper or even take a bath on time. It's not easy, and counselors can offer tips to ensure positive learning environments can be created at home. Counselors can also connect parents with resources on parenting children of specific ages or needs. 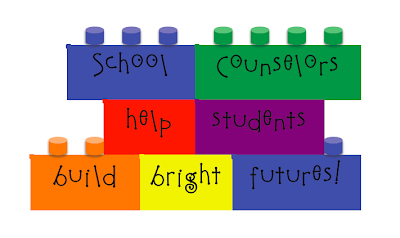 Center for School Counseling Outcome Research and Evaluation (SCORE) conducted a meta-analysis of 153 school counseling interventions and found increases in academic achievement, positive social skills and decreases in violent behaviors (2009). The past decade has been laced with school shootings or school violence. PBS stated most shooters have a history of mental health problems. It may be uncomfortable to think our children have suicidal thoughts, anxiety, or are being bullied, but ignoring these issues may lead to the unwanted outcomes. It may also be very isolating or lonely to have these feelings and not have someone to turn to. Counselors may not always have the tools to help every student and family, but each person helped can have exponential results. The positivity and growth can spread to others for generations. Having extra support or attention for a student could affect him or her for a lifetime. After working with counselors, families may also become more connected with their communities to become involved with their children's education and career planning.